IN AN UNUSUAL case in the Dublin District Family Court, Judge Sineád Ní Chúlacháin agreed to give a couple whose children had been taken into care a memo written by the judge who made the order. The couple are challenging the case in the High Court. The court was told that Judge Brendan Toale had made the order to take the children into care until the age of 18 on 26 November — but he had not given reasons as to why. The court was told that the parents “were at a loss to understand the momentous decision”. “They didn’t know what had happened,” counsel for the parents said. They added that the care orders had stated that the children be placed in the care of the “wrong body” as it mentioned the Health Service Executive (HSE), not the Child and Family Agency (CFA), which is no longer the statutory body that cares for children. “All very difficult to explain to parents who have lost their children for the entirety of their lives,” they said. A judicial review is being sought by the parents, with the High Court stating that the memo, which would have the judge’s handwriting and notes “would be of assistance”. An order had already been granted for counsel to obtain the transcript of the digital audio recording from court the day the order was made. 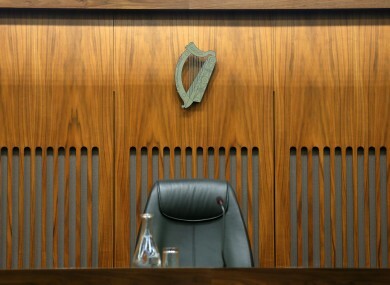 Judge Ní Chúlacháin questioned the urgency of the matter and said she was not aware of any other case being made where a judge’s minute book was sought before the District Court. She said she would hear the case as she didn’t want to do anything that would hold up the High Court. The counsel made their case as to why the memo should be released to them, citing many case laws dating as far back as the 1950s. The counsel said that there was a “factual dispute” between the CFA and the applicants as to what Judge Toale said on the day, adding that the memorandum could provide a resolution. However, Judge Ní Chúlacháin said the matter before her was whether she had the power to release the document. “There is no problem as to why you want it… my concern is my jurisdiction,” she said, asking did she have the power to release it. After much debate over legislation and case law, the judge read that under District Court Rules the judge has the power to release “any other document” that is “reasonably required” in judicial proceedings. She said the High Court had said that the memo would be of assistance to the proceedings so she made an order to disclose Judge Toale’s minute book. Email “Parents 'at a loss to understand' why their children were taken into care ”. Feedback on “Parents 'at a loss to understand' why their children were taken into care ”.